We are extremely excited and honored to be participating in the upcoming Scotiabank Hockey Day in Canada four-day festival from February 6th to February 9th, 2019 here in the City of Swift Current. 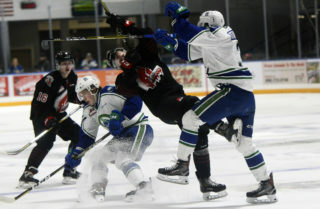 As part of the festival, we will be hosting an Alumni & Celebrity Classic hockey game on February 8th 2019, at 7:30 PM, with the intention of celebrating the game of hockey with the amazing fans of Swift Current. A reminder to season ticket holders, you have until December 10th, 2018 at 10:00 AM to opt-in or purchase your tickets to reserve your seats and take advantage of pre-sale pricing. The Alumni & Celebrity Classic will include a number of Hockey legends, including several Broncos Alumni. 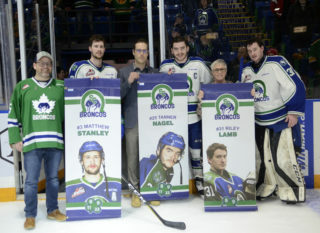 The game will have specific tributes to the 1988-89 Memorial Cup Champions Swift Current Broncos team, and we will have several players join from that team and era in order to celebrate their achievements and contributions to our community. 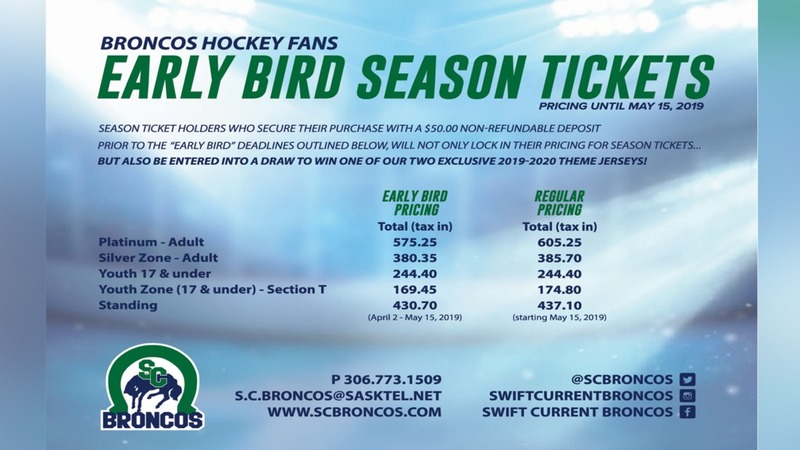 As a season ticket holder, you are now able to opt-in to your Broncos season ticket seats online, or purchase your seats in The Stable or by phone. Season ticket holders are being offered a reduced pre-sale ticket price of $12.50 per adult ticket, and $6.50 per youth ticket. Season ticket holders have until December 10, 2018 at 10:00 AM to opt-in or purchase their tickets, after which they will be available for sale to other parties, according to the schedule detailed below. Tickets for season ticket holders who have opted in online will be processed by the end of the following business day (beginning November 30, 2018) to allow tickets to be picked up after being processed. Once processed or purchased in-store, tickets will be non-refundable. 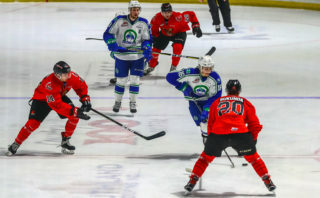 Season ticket holder pre-sale tickets must be paid for in full by January 15, 2019, otherwise they will be released to the public. 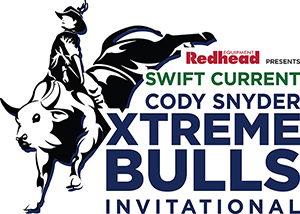 All seated season ticket holders in Section S, Section T, and in standing room section U (seats 1-4), will need to be relocated to other seats for the event in order to accommodate the major sponsors who are generously supporting our community throughout this event. Note – this does not include Standing Room tickets in Section S, who are not required to be moved. Relocation to open tickets is now available, however in order to provide relocating season ticket holders with the best possible seats for relocation, a window between December 10, 2018 at 12:00 PM and December 13, 2018, at 2:00 PM has been made available specifically for relocation requests. This will allow relocating season ticket holders to choose from any seats that were not purchased by other season ticket holders. All relocated season ticket holders will be entered into a draw to win an Autographed Game Worn Alumni Game Jersey, or a second prize of a $50 gift certificate to The Stable. Additional communication on the relocation process will be sent by separate communication, however please contact The Stable for questions. December 10, 2018 at 12:00 PM – Relocation window opens for season ticket holders in sections S, T, and certain ticket holders in Standing Room section U. Season ticket holders in these sections can contact The Stable by phone or in person to relocate to the best available seats. December 13, 2018 at 2:00 PM – Relocation window and pre-sale pricing ends and all remaining seats will be open to the general public at the general prices listed below. January 15, 2019 at 10:00 AM – All unpaid tickets will be released to the general public. Adult tickets will include entry to the Friday Night Cabaret at the Stockade (must be aged 19 years or older). Further details to be announced. Stop by the Stable during box office hours or call 306-773-1509 to purchase your tickets or to relocate your seats. 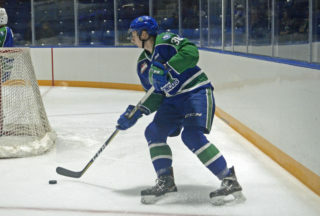 The option to opt-in to your tickets is also available through your online season ticket account at https://tickets.scbroncos.com/.